This is comical, but the actual likely intention is less fun than killing hung apps: it’s probably to get through the Windows NT-style “Press Ctrl + Alt + Delete to log on” screen, a relic from 1993, which is necessary on tablets presumably because Microsoft’s internal structure, politics, and fragmentation precluded the Tablet PC team from getting the Windows Account Security Or Whatever team to make an exception to this procedure for this edition of Windows 7. Um, really? OK, there’s so much wrong with the software on the Slate that it’s hard not to laugh and/or weep at the stupidity of it. But this complaint is idiotic. ctrl-alt-del to log in is optional—but on by default in domains. And since this is a machine aimed at enterprise markets, guess what? It’s gonna be domain-joined. 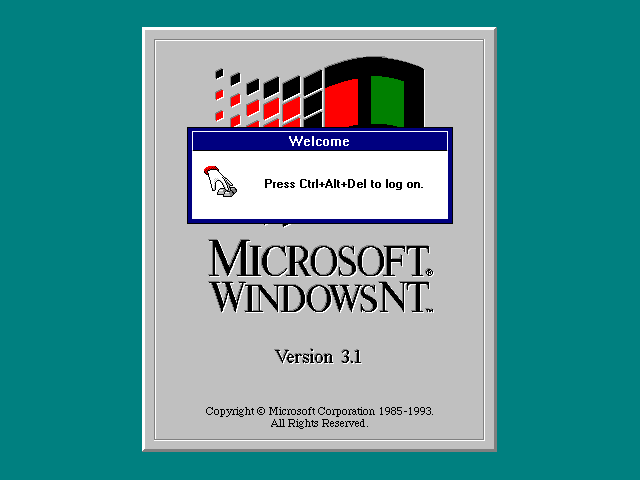 ctrl-alt-del is a legitimate security feature; instead of bitching about it or claiming it to be a “relic” you should be wondering why there are still OSes on the market that don’t demand an SAK.